To mark the release of A FALL OF MARIGOLDS this month, I am happy to welcome writer friends to the blog to share with you a story about a family heirloom that is precious to them. An heirloom scarf is what ties two women together in A FALL OF MARIGOLDS, and heirlooms are what tie these blog posts together. At the end of the month, there will be a fun giveaway. Enjoy! 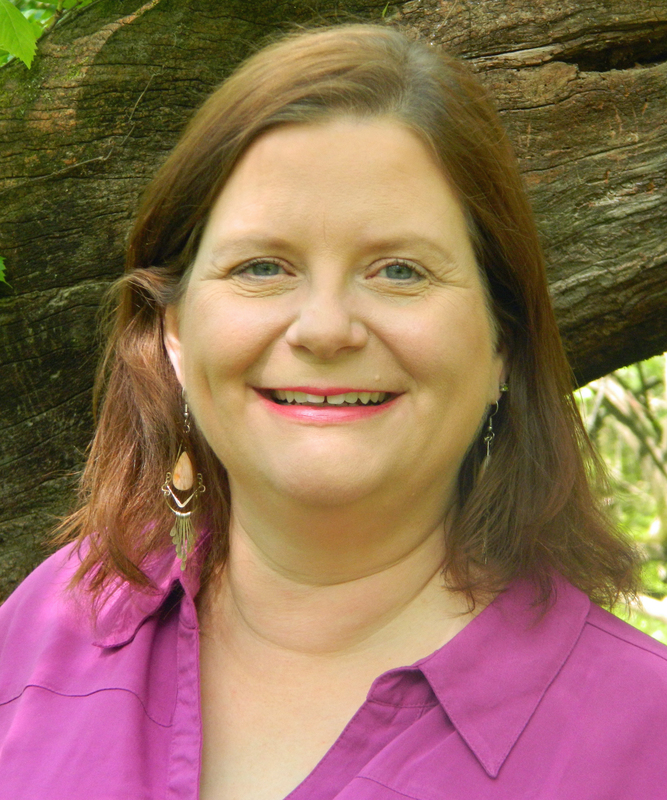 Today I am happy to welcome Sharon Short to the blog. Sharon is the author of the novel My One Square Inch of Alaska (Penguin Plume) in which a pair of siblings escape the strictures of the 1950s industrial Ohio town on the adventure of a lifetime. 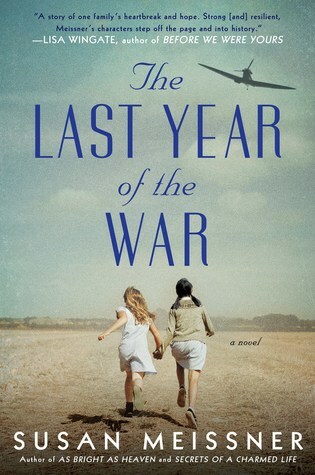 Opening chapters of this novel earned Sharon an Ohio Arts Council individual artist’s grant and a Montgomery County (Ohio) Arts & Cultural District Literary Artist Fellowship. She is the Literary Life columnist for the Dayton Daily News as well as the Executive Director of the renowned Antioch Writers’ Workshop in Yellow Springs, Ohio. Sharon holds a B.A. in English from Wright State University and an M.A. in English from Bowling Green State University. She lives in Ohio with her husband and is the mother of two adult daughters. Read to the end to see how to be in on the drawing for Sharon’s book! My heirloom piece is a tiny navy-colored booklet, just two by three-and-a-half inches. 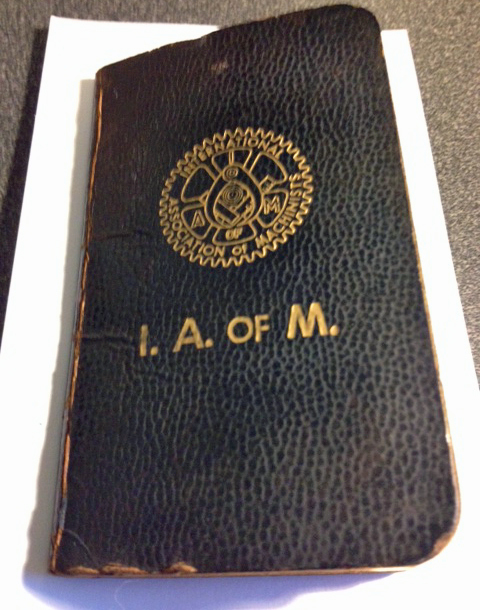 It’s a union booklet; on the cover is the seal of the International Association of Machinists and below that I. A. of M. The inside front cover bears my father’s name, the company for which he worked, and his profession: Machinist. 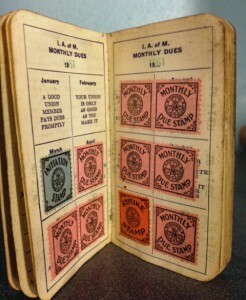 March bears a blue ‘initiation’ stamp; the other months bear pink ‘monthly due’ stamps, except for November 1961. That stamp is an orange strike stamp. With December, the stamps go back to pink, and stay that way through June 1963. I ended up in possession of the booklet because of a rare conversation about my writing with my father as I was working on MY ONE SQUARE INCH OF ALASKA. He’s proud of me, but my work is foreign to him in many ways, just as his work was foreign to me. So I was a little surprised when he asked, as he has just a few times over the past few decades, “how is your writing going?” To be fair, normally, my answer to that question is a protective, “fine,” which I’m sure contributes to the rarity of the question. But this time, I had a different impulse. My novel includes many themes; just one is a strand about workers seeking to unionize a paper mill in the 1950s. It was my father’s turn to look surprised. The next moment, he lit up and started talking. I knew he’d been a machinist for a company, knew (vaguely) that he’d been a union boss. Knew the legend: his company refused to give him a penny raise, even though he’d earned it, even though he was the only one on the shop floor that knew how to make a particular, necessary, part. That penny would take him, after all, to the top of his pay grade, and then the company would be forced to bump him up a level, which his boss didn’t want to do. My father had an eighth grade education. The next level wasn’t meant for men with eighth grade educations. 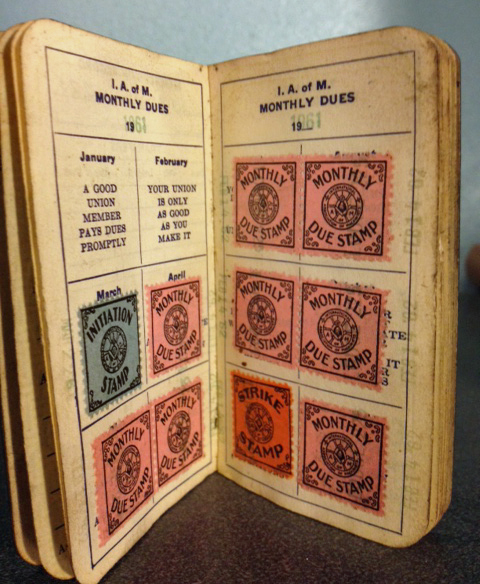 I was born in January of 1961, the “a good union member pays dues promptly” month. I have no personal memories about my father working for anyone other than himself, no memories of strikes or union dues or houseboats being sold. By the time my own personal memories start having substance, my father made far more money than he ever would have, had he stayed in a union shop, money he hoped would please my mother enough to save their marriage. That wasn’t to be the case. My father left when I was 15; we next spoke when I was 29, just months after my first child was born. Off and on since then, we’ve caught up as best we could, made as much sense of and peace with the past as we can. But this was a rare visit to a handful of years on either side of my birth, my father’s union years. He didn’t say it—again, a matter of pride, you know—but I think he was pleased to have his daughter interview him. To be, in some way, part of my writing process. I’m fairly certain this is true, because the next time I saw him, he brought me the little navy union stamp booklet, not much bigger than the square inch that’s part of my novel’s title and the symbolic core of its story. And now so I keep his union stamp booklet, this odd little artifact from his mid-life and my infant and toddler years, on my bookshelf. I keep meaning to frame it, to preserve it, but then I couldn’t open it up and look at the stamps. When I look at that union stamp booklet, I can only imagine my father’s strong, muscled hands, his thick fingers, already permanently stained with grease, holding those delicate stamps—mostly pink–as he dutifully licked the backs and stuck them in each month. I can only guess at the nervousness and optimism and pride he must have felt upon leaving a good union job to start a machine shop. I can only guess at the emotions that came later. I think about how unknowable, in many ways, those closest to us can be, perhaps must inevitably be. How the facts of family stories are so often made vague and opaque by shrouds of time and, yes, pride. How I cannot save these stories as fact, any more than I can save the people in them. But as a writer, a storyteller, I can, rather magpie like, collect bits and hints from the remnants of those stories, redeem them into stories of my own making, and offer those to myself, to readers, as a bit of reclaimed grace. You can connect with Sharon on her website or on Facebook or on Twitter at @SharonGShort. 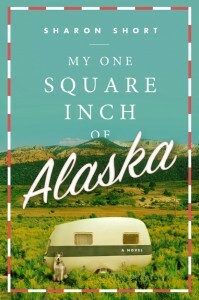 Thanks for being here, Sharon, and sharing about your “odd, little artifact.” Readers, a signed copy of My One Square Inch of Alaska awaits a lucky winner. Just leave a comment below between now and noon Pacific on Saturday, Feb 22, and your name’s in the hat. I enjoyed reading the article. Fingers crossed. TY. Thank you for the comments so far! It was interesting to contemplate that union booklet and think about what it meant to my dad, and later to me. What a wonderful gift you’ve been given…to share those memories with your father, and to have the booklet that creates more memories. Thank you for sharing that. You’re welcome… and thank you, Wes! I’ve looked at that booklet many times, but I must admit that I became pretty emotional when I looked at it again in order to write this guest post. It was a pretty cathartic experience for me and I appreciate Susan giving me this opportunity to share my heirloom story. Lovely heirloom. It was good you could share it’s meaning with your father. My dad was a union man who eventually set out on his own as your dad did. He made his shop a union shop, though he was the only one in it except for a very brief time. He also had only an eighth grade education. I can imagine how proud your father is of you being a published author. Thank you, Anita and Nancy! Yes, dad is proud, particularly of this novel. He tells everyone about it (although he doesn’t mention his part in my research), even at his doctor appointments. It’s very sweet! Nancy, interesting that your dad kept his one man operation a union shop. I didn’t realize one could do that! Was he AFL-CIO? This sounds like such an interesting book / I visited Alaska in 1997! Thoroughly enjoyed this blog post, Sharon. 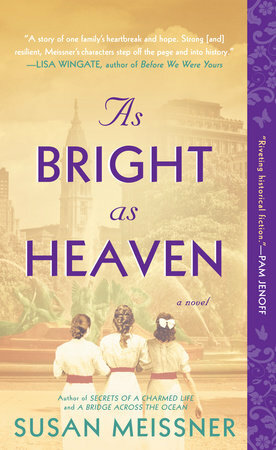 Nice imagery, perfectly weaved with pieces that delve deep into your connection with your father. I could imagine sitting right there as that union conversation happened with him — all the exchanges of words, sure, but more the sense of the rarity of such connection. Even imagined the body language between the two of you, and all the unspoken pieces. All that a testament to your ability to paint a picture. Makes me think about my own father, and the precious few heirlooms I possess. Thanks for this. MB–Thank you for your wonderful comments! I’m so glad my piece inspired memories of your father and your own heirlooms. Sharon T.–how precious to have those love letters! Sharon, Dad had previously worked in the advertising department of a newspaper. Before that he made was a worker for a tire company and fought to get a union in. When the paper folded he started his own small advertising company and bought an offset press and printed his own work. He joined the printers union. I don’t know the exact name. He was very pro-union. He did a lot with an eighth-grade education. He never made a lot of money, but he learned a lot in different fields; photography, still and motion, played guitar and taught it, had a radio show, owned a diner and did the cooking – and more. He had a lot of gumption. He played the side drums in a Scottish marching band, too. Nancy, your dad sounds like an amazing man! I can feel your tenderness and pride and love for him in your description. Thank you for sharing that. I’ve had my eye on this novel for a while now. Am looking forward to reading it and appreciate the chance to win a signed copy! Jessica–that is great to know! Good luck! Congrats, Anita Cunningham@ You are the winner of Sharon’s book. Just shoot me an email with YOUR email and we will connect. You can email me at susan at susanlmeissner dot com.